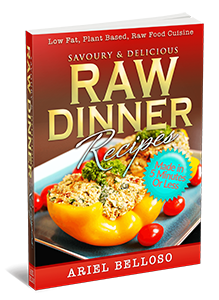 Recently, I’ve noticed something extraordinary: a lot of people seem to be obsessed by the idea of eating 100% raw from the first day of this diet, without making a proper transition from cooked to raw, and without having any previous experience with raw foods. 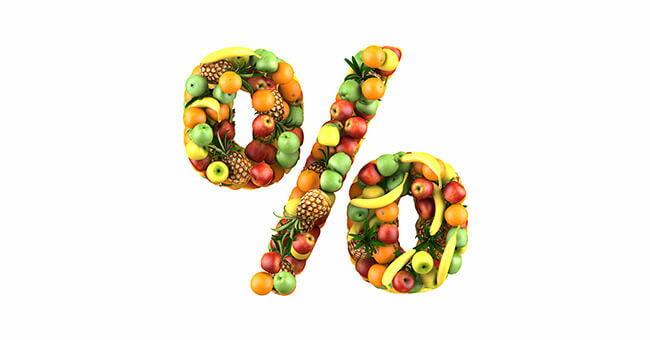 Just to clarify, when I talk “percentages”, I refer to percentage of calories. Other methods, such as the percentage by dry weight, volume, etc. can be misleading. I first learned about the raw food diet back in 2006, back when the Internet wasn’t as populated as it is now, and finding the right information was, at times, easier. Raw veganism is a diet which combines veganism and raw foodism. It excludes all food of animal origin, and all food cooked above 46 degrees Celsius (115 degrees Fahrenheit). A raw vegan diet includes raw vegetables and fruits, nuts and nut pastes, seeds, plant oils, sea vegetables, herbs, and fresh juices. Sometimes the definition of a raw vegan diet is loosened to include vegan diets with at least 75% raw foods. I thought great… If I can eat at least 75% raw to start with – while doing it correctly that is, then eating the rest 25% raw to get to 100% can be added later on as I gain more experience. Little did I know back then that I was setting myself on the right track, as this logical approach of transition to full raw veganism would not only have enormously good results on many aspect of my health in a short time, but it would enable me to keep eating raw successfully over time. 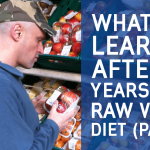 Had I acted differently and try eating 100% raw from the start, it would had put me off this diet altogether. I would have thought of the diet as impractical, and would certainly not have had the amazing results I managed to achieve later. I should point that by following the correct raw food program, you may lose weight as body fat, which is one of the factors that matters in order to get heathy and fit, instead of merely losing water weight, which can be easily put back on. But losing weight wasn’t the only benefit I’ve received from this diet. By eating raw appropriately, I managed to overcome many diseases I suffered from for many years, which includes a severe peripheral neuropathy condition that affected my legs so badly that I couldn’t stand properly at one point. My method of transitioning to 100% raw veganism is not what a lot of people seem to understand; they think of eating a raw diet as some kind of race to perfection. If you think this way, you are missing the point. In order to eat 100% raw, you to need to develop certain habits that can’t be created overnight; it will take time, even years, to master. 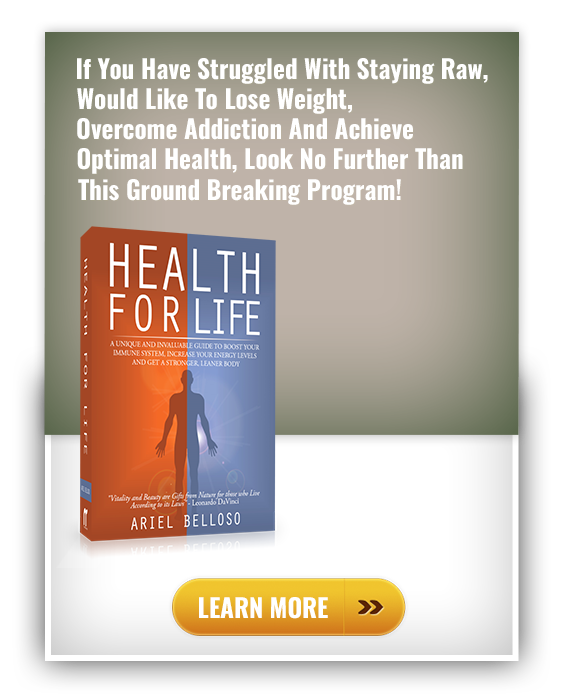 Below is a partial list of the habits needed to eat 100% raw. Study natural health and nutrition. If you think that all you need to eat a proper raw food diet is learning a few raw recipes, asking a few questions on a Facebook group, or watch a few videos on YouTube, you are setting yourself for guarantied failure. Before I even attempted starting this diet, I had already read at least 30 books on nutrition and natural health. Facebook or YouTube DO NOT replace literature, or students wouldn’t need to attend university to study biology and could just watch YouTube videos instead. That isn’t how this works. In essence, natural health is biology. Maybe you don’t need to go to the same lengths I have: study Orthopathy and other health sciences for 6 years, but you do need to read and inform yourself accordingly. And I’ll tell you what will happen if you follow the advice from strangers on social media without doing careful research on your own. If you implement changes to your diet that someone on Facebook or YouTube suggested, you may start developing imbalances in your health, like losing or gaining weight too rapidly, nutritional deficiencies, or other symptoms, which may alarm you because you are inexperienced about what you are doing. 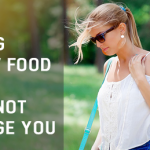 Then you reverse you diet because you thought your previous attempt didn’t work – when in reality, some of those symptoms (however uncomfortable they may feel at times) might be perfectly normal detox signs of transitioning and nothing to worry about – or maybe not. But you wouldn’t know how to deal with those issues because you haven’t fully studied the procedure. I’ve seen this happening so often. In time, you may find it easier to buy your fruit and some of your vegetables in bulk, direct from a wholesale market and at half of the price, but this option is not always ideal for folks living outside town. Wholesale fruit and veg market’s opening hours may be inconvenient for some, so it may take a while to get used to this way of shopping. 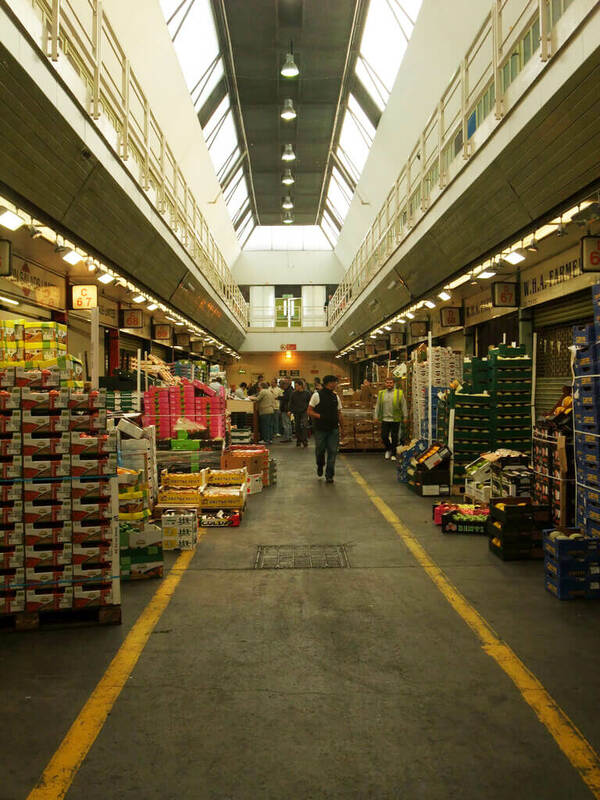 While in London, I usually shop at New Covent Garden Market in Vauxhall at around 1:00 AM every 10 days or so. It’s easier to eat 100% raw when you keep large quantities of ripe fruit at home so you don’t need to shop as often. 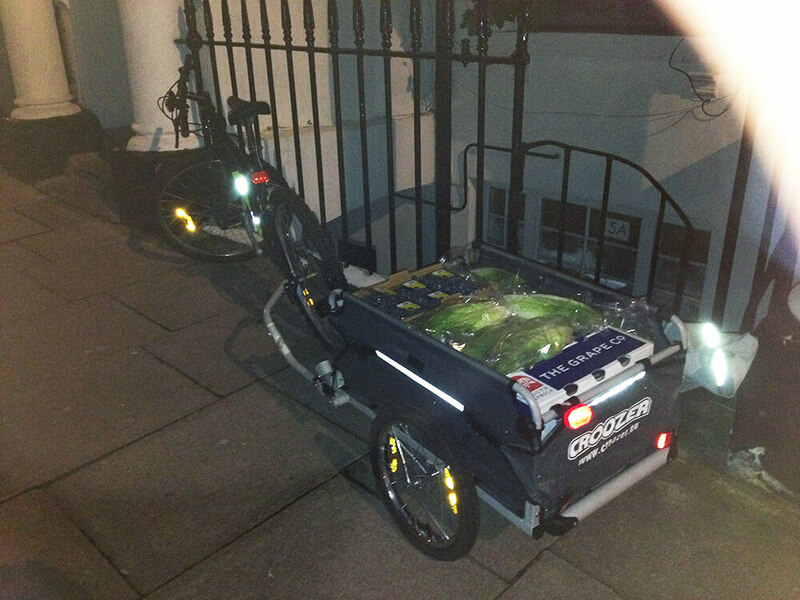 I don’t like driving, and you don’t certainly need a car if you live in Central London, so at times I resorted to using a bicycle trailer (see pic below) to shop at wholesale, which I do recommend. You exercise at the same time while shopping; it’s eco-friendly all the way! During my transition to raw foods, I purchased only a Vitamix, two years into this diet, which means you can get away without having a blender for a while and do just fine. The same can be said about juicers or dehydrators. 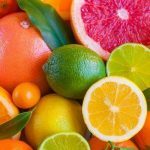 I am not a big fan of juicing, as some of my readers already know, as juicing removes the important fiber from the food, which I prefer to keep. I do drink green juices from time to time though. Develop the habit of eating enough fruit. Being able to get most of your calories from eating fresh fruit every day, takes practice. Not because the task is difficult in and of itself, but because we are accustomed to eating high calorie cooked meals. It took months, if not years, to consider fruit as my main food staple. I believe everyone else coming from eating SAD or even a vegan diet will go through a similar process. Consume at least one pound of raw greens a day, if not more. 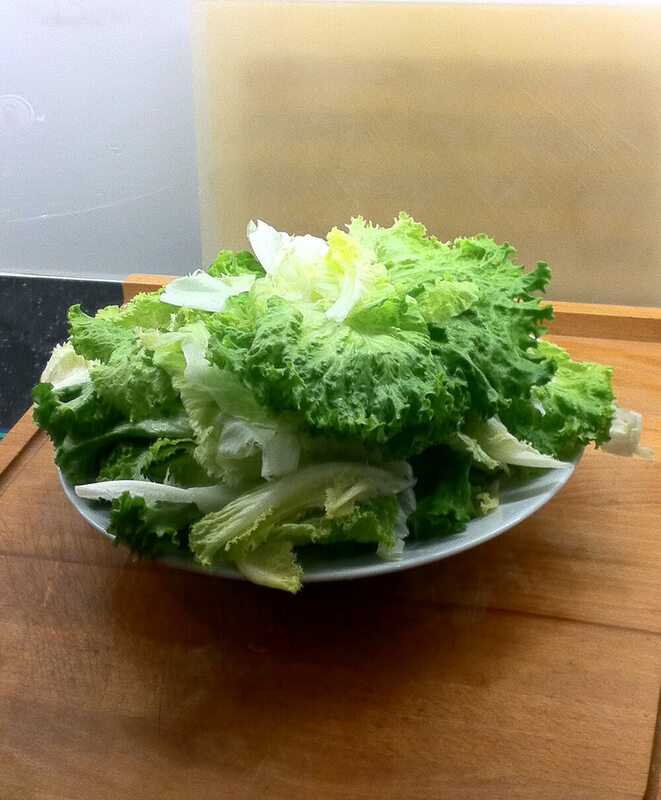 Two large Romaine Lettuce hearts: my average green salad serving per dinner. I have always loved big salads, so the habit of incorporating plenty of greens into my meals was never a problem for me, though I know not everyone may find this routine easy to implement. You can try green smoothies and other blended recipes to make it easier for you to consume those greens if eating big salads don’t appeal to you. For someone eating the standard western diet or S.A.D, as I did before switching to raw, meant I had to learn how to eat the different types of fresh fruits and vegs – including learning the ripening process of each, which would definitely took time to get the hang of. For most people eating S.A.D, preparing your dinner can be as simple as throwing some pasta to boil and that’s it. Educating yourself with raw foods uses different methods because food is fresh and preparation varies. Keep enough ripe fruit store at home and ready to eat. 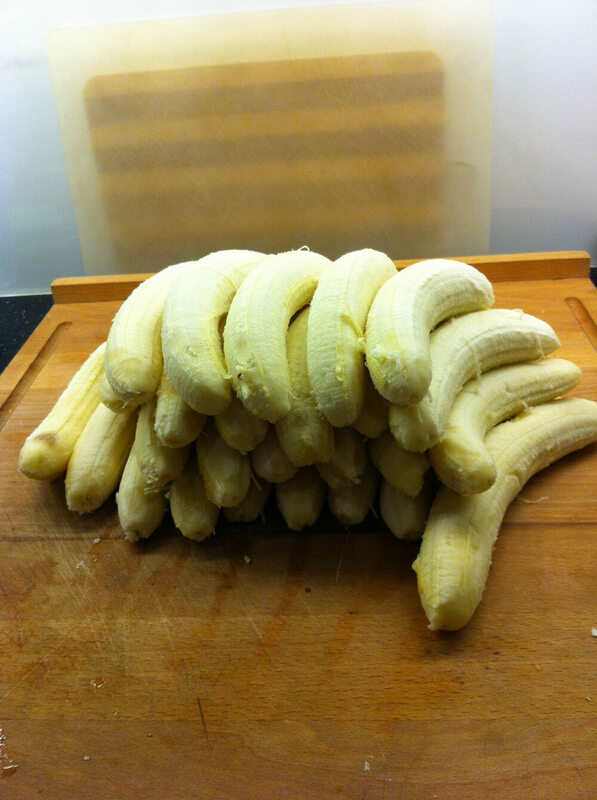 It is not unusual for raw foodists to keep a container of 100 bananas in the freezer for use on occasions when few other fruits are available, such as in winter, etc. This can be easily implemented, but it takes practice and planning. Bananas ready to be sliced and store in my fridge. I remember when I first started learning about the raw food diet back in 2006, I was advised by a leading teacher in the raw food movement to whom I have a lot of respect, that an incredibly effective way of eating 100% raw is having your own orchard and grow your own food, which almost got me laughing. Really? Well, it may be easy for someone who lives in the English countryside with their own orchard and garden and has been eating raw for 20 years to tell someone who is just starting, to grow their own food; at the time, I was music producer and DJ living in Camden Town (Central London). Have you ever been to Camden Town, the home of Rock & Roll? Where the heck do I find space to grow my own food in Camden? It’s unrealistic for most people living in a big city, such as London or any other urban area. I trust that one of the reasons my website and my teachings are becoming widespread is because I try to put myself in other people’s shoes and give practical advice whenever possible. Let me be crystal clear about this. Eating a 100% raw food diet can work out cheaper than eating the standard American diet overall, unless all you eat is bread and butter. But a bread and butter diet would need a lot of money to pay for medicine and doctors when you get sick, as you most certainly would; money you would save, should you eat healthy raw foods. Someone famously said once that by eating a raw food diet you get “health assurance”, so you don’t health insurance. Let me also point out that by eating the correct raw food diet you would have removed the urge for consuming stimulants, like salty snacks, alcohol, caffeine, chocolate, sweets, sodas, etc. which all adds up considerably to your food bill. One medium banana purchased at wholesale (half price) is relatively cheap at $0,12 (£0.10) while providing 105 calories. You do need, of course, to eat a variety of foods in order to make the diet work (100%), so it can be argued that you need a reasonable income to able to eat fully raw. 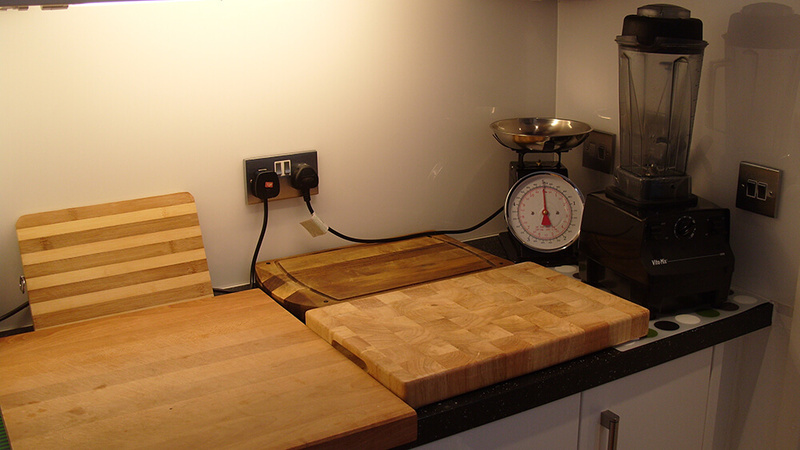 In order to eat 100% raw I believe you need to design your kitchen to process fruit and vegetables quickly and safely, which may include getting hold of some gadgets. 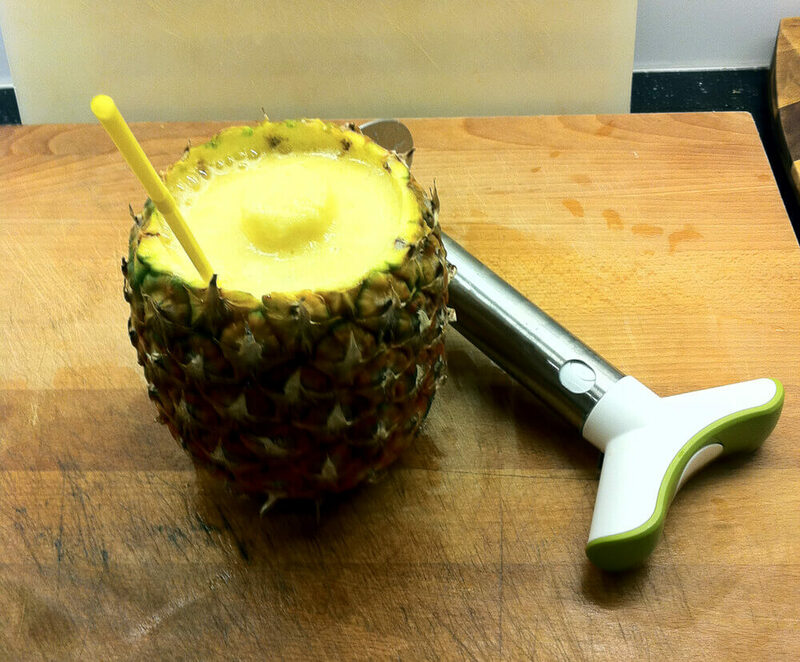 These tools could be a pineapple slicer, mango slicer, apple corer, wooden citrus reamer, citrus fruit juicer, knives, and other appliances that can make your experience with raw foods much more enjoyable and practical. 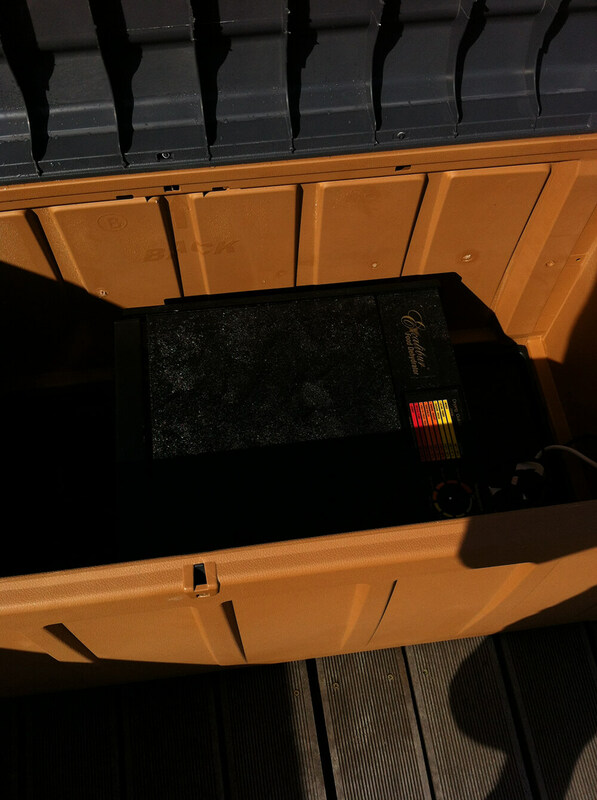 I purchased my dehydrator a few years into my raw food diet. 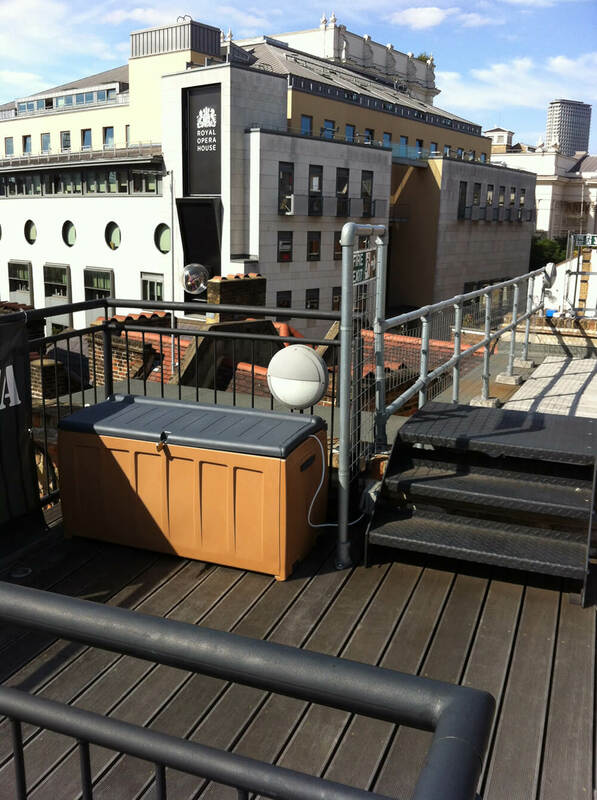 I chose to keep it in my room terrace so I avoid any smell of processed food in the flat. Yes, you can see the Royal Opera House building right across the roof. Not getting enough rest, sleep, relaxation, and time to recover is one of the biggest mistakes I see people make when trying eating raw. A proper raw diet will result in improved health, but I must emphasize that it is the body, not food, that ultimately creates health. Eating 100% raw means being in control of your resting cycles, this includes getting plenty of sleep. Eating a raw food diet does change your social life a bit; no question about it, but this should NEVER be a reason not to eat this way. Just because everyone else eats McDonald’s doesn’t mean you should too. On a raw food diet, you socialize by going for walks with friends instead of meeting them at restaurants. It’s not such a big deal, but it does take time to adopt these new habits. Physical activity is so intricately linked with nutrition that failure to master one aspect will automatically lead to failure with the other. Our bodies develop through use, and waste away through disuse. I can’t imagine anyone successfully eating a 100% raw without sufficient daily exercise. It’s a habit everyone should embrace. Learning to handle your emotions and feelings of vulnerability after switching to raw foods can be, for most people, one of the most challenging aspects of this transformation. From time to time you may experience abrupt outpourings of sadness, anxiety, or low self-steam, which can knock you off-balance and can make you feel very uncomfortable at times. These emotions have always been in you. The reason they are coming up now is because you are not suppressing them by eating hard to digest “comfort” foods. You become more emotionally aware on a raw food diet, which is a great thing, though it takes time until you get full control of these feelings. Or as I call it: being “emotionally naked”. It is through this period that many people resort to eating junk food or taking other substances in order to appease these sentiments. So for this reason, as well as well others, managing to eat 100% raw overtime ultimately takes practice and time. Where you live can definitely affect how much fresh, raw food you may be able to obtain at any given time. 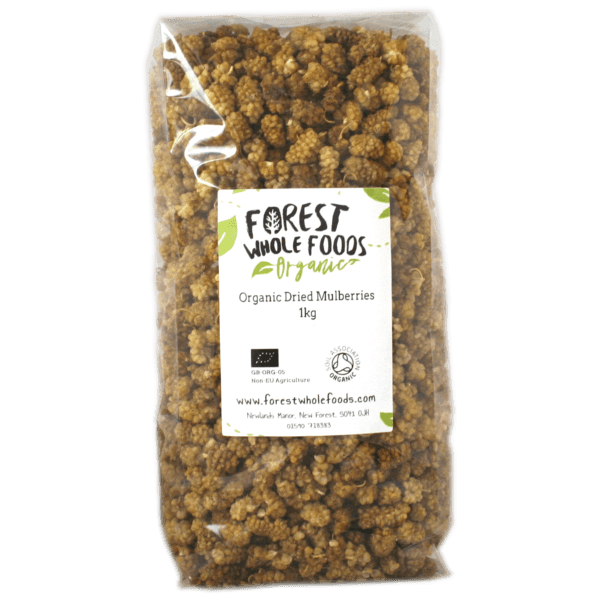 Being based in Central London means you can get a wide range of tropical fruit on your doorstep, as well as finding other specific foods needed for some recipes, such as “organic, sun-dried white mulberries” for instance, which you may not be able to find in many other places. Not being able to get hold of some foods should not detract anyone form eating raw, as most ingredients can be easily replaced. If you choose to eat raw 100% of the time, you may find you “really want” to get some of this stuff, putting some extra pressure on you, which may be unnecessary. By writing this article I am not trying to put people off the idea of this wonderful way of eating, which is the raw food diet. 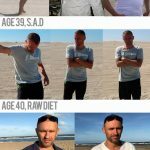 On the contrary, I am pointing out that switching from eating a S.A.D, vegetarian, or vegan diet to eating 100% raw overnight isn’t as straightforward as you may think – if you want to succeed long term. Without any proper background, you can try eating 100% raw for a few days but what would be the point of doing so? You’d probably spend a lot of time going to the toilet, wondering what’s going on. In the same vein, it’s incredibly difficult for someone who has eaten 100% raw for many years to switch to eating S.A.D overnight; most likely, you would start vomiting all over the place. Addiction to cooked food, such as the case of grains, is more difficult than many other drug addictions because we have been accustomed to consuming it since childhood, so quitting isn’t easy. Overall, it is important to remember that what should matter in your journey is “direction”, not speed. It has to be said that in order to achieve the wonderful benefits that a raw food diet can bring, the smaller, non-raw percentage of food you choose to eat – and while you transition to full raw veganism – must include lightly cooked (preferably steamed) vegetables, legumes, and other unprocessed, low fat, plant based options. Eating 100% raw is a wonderful way of eating; your energy levels are always optimal, your mind is clear, you are better prepared to deal with stressful situations, your fitness goal are always achieved, you look great, and countless other benefits I can carry on listing, but it will take some time to get there, just like it takes time to quit smoking and not think about cigarettes night and day. And I have first-hand experience in both scenarios. I don’t understand where these ideas of going to extremes overnight come from to be honest; I think it has to do with ignorance. There are some excellent teachers and professionals working within the raw food movement trying to educate people in the correct way, but there is also lots of opportunist wannabes pushing extreme views in order to generate publicity and to become celebrities on social media or whatever, which is OK for their bank balance but certainly not tuned in to your wellbeing. If you are serious about improving your health and diet, you need to study natural health, do your own research, and make a proper transition to raw foods, which will take time and effort but will be worthwhile in the end. I believe that finding the balance between giving yourself the best food without being dogmatic, rigid, perfectionistic, or obsessive while working on the many other important aspects of your health – such as getting enough exercise, sleeping well, and so on, is undoubtedly the best way to go forward. Bravo! Glad this has helped you and your mom!!! I was 100% raw vegan for 10 years. I wrote a magazine column sharing my raw recipes and turned that into a book. 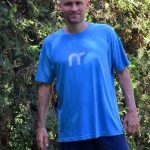 I created an online magazine in 2001 celebrating the raw vegan lifestyle. Then I found I had some nutritional deficiencies. I added certain boiled or steamed foods to my diet, following Joel Fuhrman, MD’s nutritarian diet. This I eat beans and legumes and occasional: boiled steel cut oats or raw buckwheat or teff. I wait for those to cool off and then add home made nutmilk. I rarely consume oils. I never eat anything baked, fried, grilled or roasted. I’m still all plant based. The only sweetener I use is pure stevia, and I’m looking to get monk fruit liquid. The directors of Hippocrates Health Institute have said not to eat too much sweet fruit, as there is too much sugar in fruit. I try to limit my fruit to berries, pomegranates, grapes and cherries. I eat only organic produce according to regular.org’s wallet guide to pesticides in produce.